James Henry Trotter's parents have been eaten by a rhinoceros, so now he lives with his two replusive aunts. One hot day something peculiar happens and an enormous peach grows in their garden. 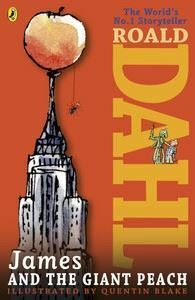 Soon James and the Giant Peach are rolling away from his horrible aunts, towards a most marvellous and wonderful place . .